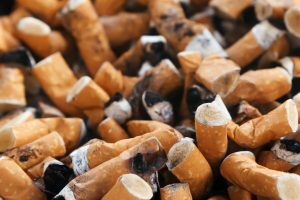 Stopping smoking with hypnotherapy can be very effective for a lot of people. However, before you decide whether it’s right for you, you might want to know more about how it works and what you can do to increase your chances of success. Some people think that hypnotherapy is a magic bullet and that everything will mysteriously be resolved without any client input. Whilst this might be true for a percentage of highly suggestible clients, most people will need to take some responsibility for their journey into the land of freedom and long life. If you can’t do this, then your motivation for quitting smoking just won’t be high enough to guarantee a successful outcome. 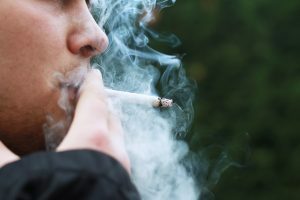 Listed below are some helpful hints and tips to quit smoking and these can work wonderfully alongside your hypnotherapy session. 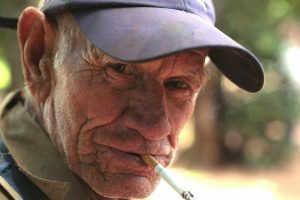 It’s highly likely that you’ve used cigarettes as an emotional crutch through your time as a smoker. You might even feel that you need that support. But, as with any drug, there was always a time when you didn’t take it or need it. Learning to walk without crutches takes a little bit of time to get used to, but you can soon find your feet and will be able to stand strong and firm again. When you inhale from a cigarette you take a deep breath in. This breath is partly nicotine (and all the thousands of other chemicals) and partly pure air. If you take some deep breaths during a moment of craving, you will start to feel better and those urges will quickly pass. Take some time to think about why you want to quit. It has to be your choice and not somebody else’s. Write down all the reasons why stopping smoking will be good. Perhaps you have children, or want to live to experience the joy of grandchildren? Maybe you are fed up with the smoker’s cough or the smell stagnating on your skin, hair and clothes? I am sure when you get going with your list you will think of many good reasons. Keep a daily journal of how you are feeling, referring back to all the reasons why you want to quit smoking. There will be health reasons, the expense, the anti-social aspects of the habit too… all sorts of things that my come up for you. Be sure to include everything. Make a second list of all the good things that you will be able to experience as a non-smoker and all the benefits that you will gain. Really think about this. This will fuel your motivation to achieve those things in your life. Practice some mental rehearsal… commonly known as “day dreaming”. Imagine yourself in those times and places where you would usually smoke just getting on with things as a non-smoker. This is a really powerful way to prime your mind to accepting the new you. Change your routines. If you know that you feel desperate for a cigarette when you drink your first cup of coffee of the day then drink tea or juice instead. Sit in a different room, make smoking more awkward to do. Before your hypnotherapy session throw away the last of your cigarettes, your ashtrays and lighters. Don’t kid yourself that you will ever need these again. If you commit to the process, you won’t! Have a plan about what you can spend your money on. You will gain some considerable savings as soon as you quit smoking. When you visit me for a quit smoking hypnotherapy session we will be actively “undoing” your smoking mindset. We do this during our talk prior to the hypnosis and also through the hypnosis itself. I use a combination of techniques, which will vary depending on your experiences as a smoker and other factors which we will talk about at your session. No one else does it my way, which is why the “My Way” Stop Smoking programme is so effective. It’s been designed and modified by myself through trial and error, so that what you get is the very best. During the trance state I will be able to access the subconscious part of your mind. This is important because your inner drives, desires and habits are controlled by this part of the brain. This is why some people feel as if they are “in two minds” about quitting smoking. The conscious mind knows all the reasons why smoking is a really terrible idea, but the subconscious mind (which hasn’t got any intellect at all and just “does stuff”) wants to satisfy its craving for tobacco. When you come for your visit, you won’t find me preaching at you. I’m not an anti-smoker – in fact I happily smoked myself for many years. It would be the first thing I did in the morning and the last thing I did in the evenings. My whole days were punctuated by the need to have a cigarette. It’s kind of funny to look back on that time of my life now, because from the distance of some 10+ years as a non-smoker I see how those grubby cigarettes interfered with everything I did. I smoked from the age of seventeen until I was around forty years old, stopping in between at intervals for up to three years but starting again for totally absurd reasons. (No, that isn’t me in the photo!) I absolutely understand how it feels to stop smoking and also how it feels to fail. When you take your first cigarette after a period of quitting, it really puts things into perspective. It’s a sharp reminder of just how nasty cigarettes taste, just how much they “bite” the back of the throat and, if you’re like me, you probably experienced a total headrush as your brain tried to cope with that onslaught of chemical toxins. If you’ve tried to quit smoking and failed in the past, please don’t give up giving up. It’s the most wonderful thing you can do for yourself, a gift to the future you. For more information about quitting smoking with hypnotherapy please get in touch. I help people to quit smoking in Hinckley, Leicestershire and surrounding areas.